More than a few tough guy actors have been, to one degree or another, actual tough guys — soldiers, cops, even petty, and not so petty, criminals. Still, Danny Trejo earned those intimidating facial lines with perhaps the toughest real-life background of anyone to ever transition from a life of crime to a successful life in the fantasy factory of Hollywood. Of course, it’s that authenticity that’s attracted casting directors since the start of Trejo’s career in the mid-80s. His early small roles eventually led to Trejo’s association with Robert Rodriquez, who coincidentally turned out to be his second cousin as well as the filmmaker who would finally give him his first starring role. Starting with “From Dusk ‘Till Dawn” through the “Spy Kids” trilogy, it was a long path that first led to the funniest fake trailer in “Grindhouse” and then the ultra-violent yet entirely tongue-in-cheek Mexploitation action-fest, “Machete,” now available on Blu-ray and DVD. 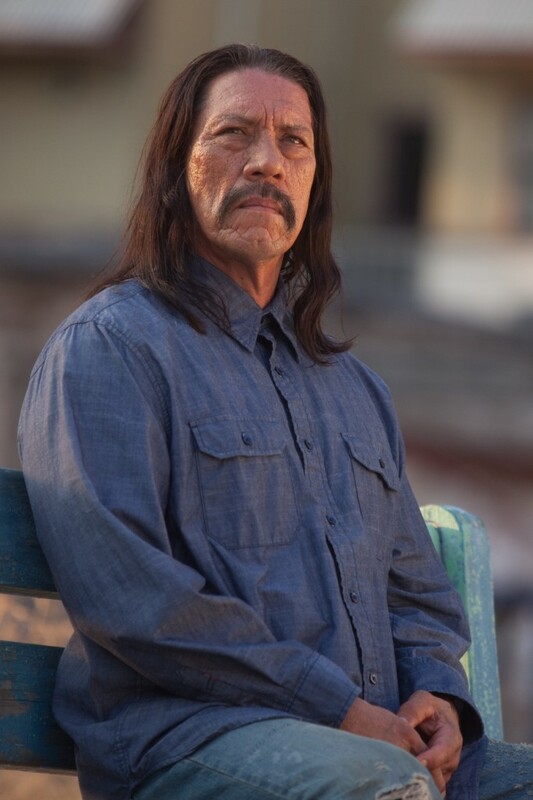 In his mid-60s, Danny Trejo is now a movie star. A Los Angeles native with an astonishing 201 roles to his credit, the actor grew up within a half-hour’s drive of the film studios in Burbank, but his tough neighborhood in the San Fernando Valley might as well have been in Tierra del Fuego. He was a heroin addict by age 12 and, way-too-shortly thereafter, an armed robber on a supersonic path to jail or the grave. Fortunately, as depicted in the biographical documentary “Champion” (available via streaming video on Netflix), jail got Trejo first. 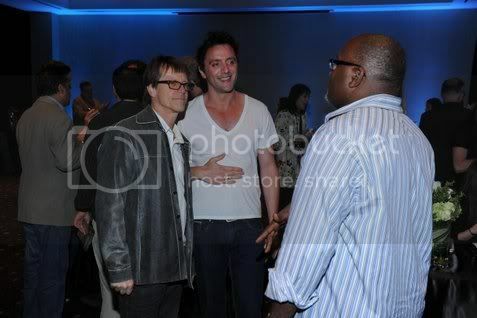 He eventually found his way to a 12 step program that allowed him to turn his life around to the poing where he could stop being a hard case and, with the benefit of a fortuitous encounter with the late ex-con author and “Reservoir Dogs” actor, Eddie Bunker, start playing them instead. A voluble gentlemen, Trejo enjoys talking to the press and is not a difficult interview by any means. The roundtable nevertheless started with a slightly awkward moment of silence when a writer who had been patched in via telephone for some reason didn’t come up with the first question and was never heard from again. Eventually I chimed in with a query, perhaps a bit serious for an opener. I mentioned “Champion” and how, in the film, Trejo discusses how criminals, both inside and outside of prison, are forced to present their natural fear as anger in order to survive in a brutal environment. I wondered if Trejo considered that world of false but convincing bravado to be his first acting class.